Like diapers and wipes, Nursery® water is a quintessential baby essential. Discover our line of products for infants and toddlers, safe water for baby and peace of mind for parents. Pick the Nursery® water that best fits your needs. Available with or without added fluoride, Nursery water comes in economical 1- and 2.5-gallon bottles. Nursery® water's original formula comes meticulously purified with the optimal level of added fluoride. Like its fluoridated friend, our 1 gallon without added fluoride is purified by steam distillation, restoring the drinking water to its simplest form: H2O. Our easy-pour spout and fridge-friendly design give parents even more to love. Available with added fluoride. Specially designed for infants and toddlers, Nursery® water is the brand that grows along with baby's needs. Complete peace of mind and total convenience – what's not to love? 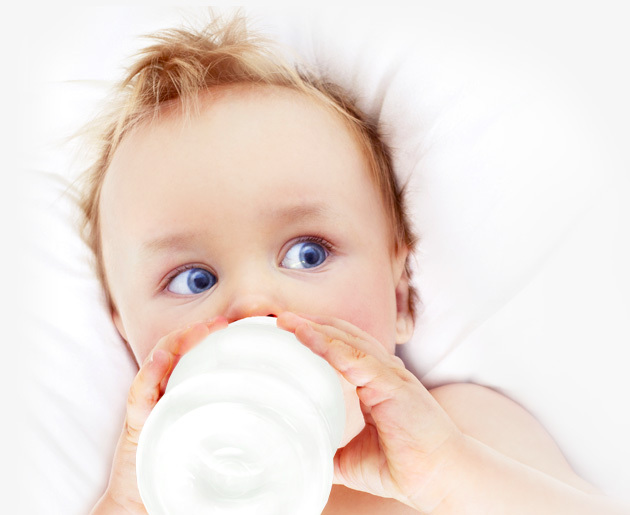 **Consult your pediatrician regarding when and what amount of water your baby should drink. 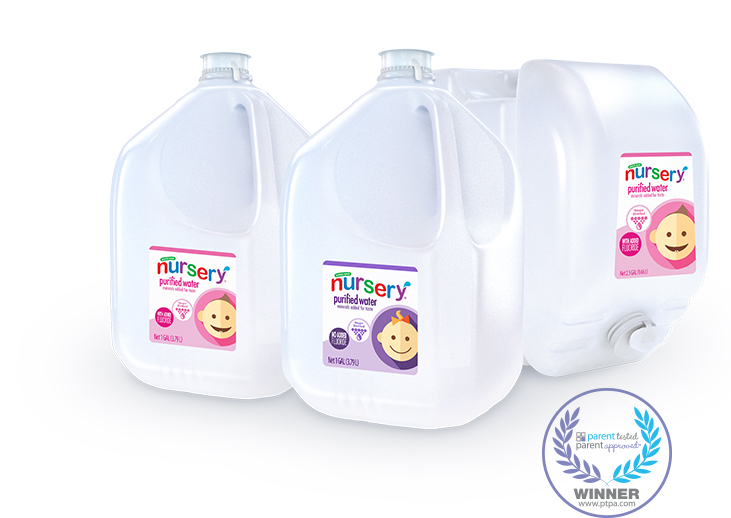 Nursery® isn't just any water; it's purified through steam distillation to remove impurities. Our rigorous standards begin with filtration to remove contaminants, followed by steam distillation to remove any remaining impurities. Then we add an infusion of ozone to remove any remaining bacteria. Thorough? Of course. Particular? You bet. It's what sets us apart and gives parents the confidence of knowing they're giving baby the best. Eliminates contaminants, impurities and microscopic particles to purify water. Removes all the remaining impurities by reducing water to its simplest form, H2O. By independent, third-party organizations and Nursery® water's own quality audits ensure compliance with applicable state and federal bottled water regulations. Thank you, Dr. Herman Bundesen, for helping create Nursery® water back in 1948. As the Director of Chicago's Heath Department, Dr. Bundesen was concerned about the purity of municipal drinking water being used to mix with baby formula. Thus, Nursery water was born. Since our beginnings, Nursery water has been held to the highest standards. We are honored to have played a role in the healthy growth of seven decades of children and are deeply grateful to the adults that continue to pass down the Nursery water tradition to their kids today.